One volume in three parts (2011) Oxford University Press (UK), and (2012) Oxford University Press (USA). 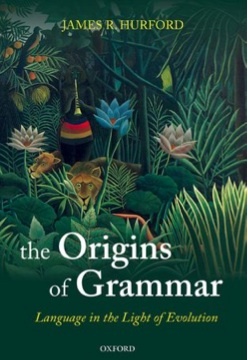 Interview with Chris Cummins about The Origins of Grammar on the New Books in Language website. 7.3 Genotype changes -- selection or drift?